The nutty taste, the creamy texture (because who really eats crunchy PB, right? ), and the way it squashes hunger make peanut butter my favourite food. Seriously, I can’t get enough. I’m always on the lookout for new recipes that call for PB, and I want to share a real winner with you today. 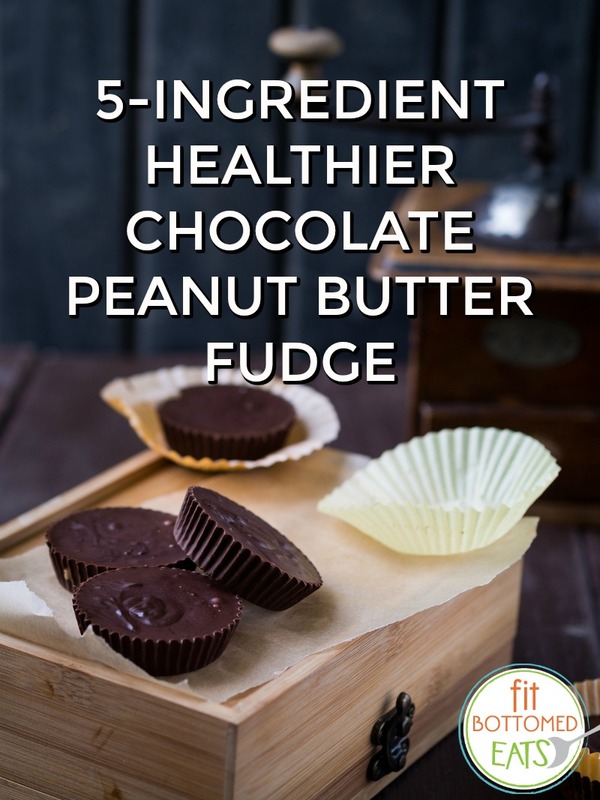 This PB chocolate fudge is a “health-ified” version of Reese’s Peanut Butter (or should I say “Better?”) Cups. It’s easy to make, tastes great, and is perfect treat to take to a party, although I guarantee you won’t be taking any back home with you … these will go quickly! Looking for a holiday treat that falls on the healthier end of the spectrum? This is like a better-for-you Reese's Peanut Butter Cup! Prep a muffin pan with liners. Put all ingredients into your food processor (I use a Ninja) and pulse several times until it is smooth. It will be a liquid texture, but try not to over-mix. Take the mixture and pour it into the muffin liners. There should be just less than ½ an inch in each liner. Remove the muffin liners from the pan and enjoy your delicious, healthy fudge! Makes 12, store in fridge or freezer.